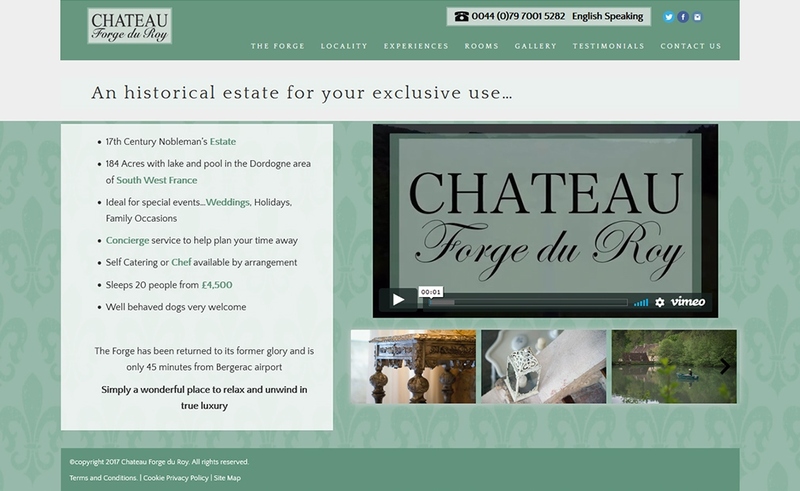 Chateau Forge du Roy is a beautiful, tranquil 17th century chartreuse set in a 184-acre estate in the heart of the Perigord Noir region of the Dordogne which is particularly famous for its black truffles. According to the archives of the region, this chartreuse dates back to around 1680 and was originally built as a gentleman’s hunting lodge. Owned in 1701 by Le Marquis de Fleurac, Seigneur de Rouffignac, it became an ironmaster’s workshop around 1730 and at one time was manufacturing cannonballs for Napoleon’s army. The lake abutting the Forge is a reservoir created to provide the ironworks with a reliable source of water. By the end of the 19th Century, La Forge had ceased to manufacture iron.